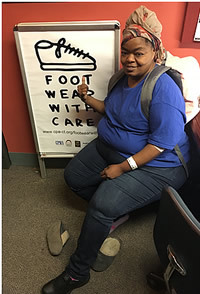 The need among the homeless for decent footwear and medical foot exams is year-round. Working with our partner, Officer Jimmy Barrett (left), we continue to give new socks (Yay, Bombas) and great shoes (Thanks, FleetFeet and community donors) to our homeless clients. 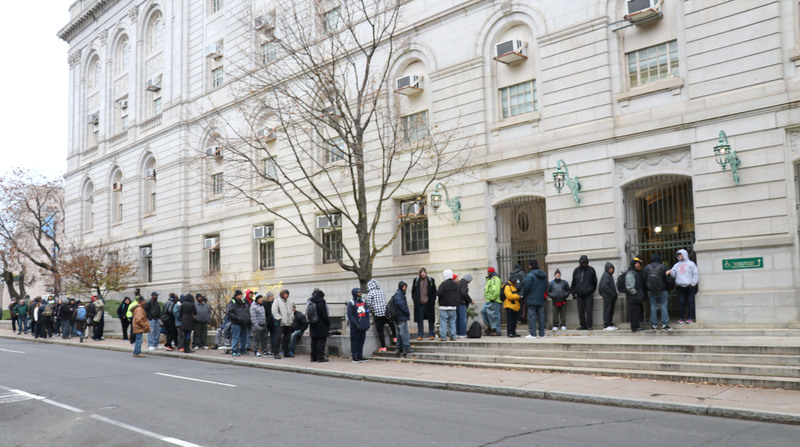 Through word-of-mouth in the homeless community, many clients find their way to Officer Barrett’s station at Hartford City Hall. 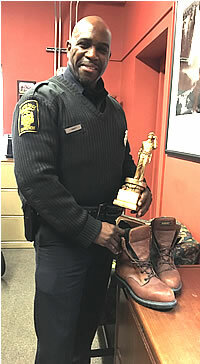 There they receive new shoes, socks, and most of all, support, delivered Officer Barrett-style: a no-nonsense approach, baked in by years in the military and leavened with compassion and a belief in second chances. One of our goals is to provide shoes that help our homeless and unstably housed clients find work.